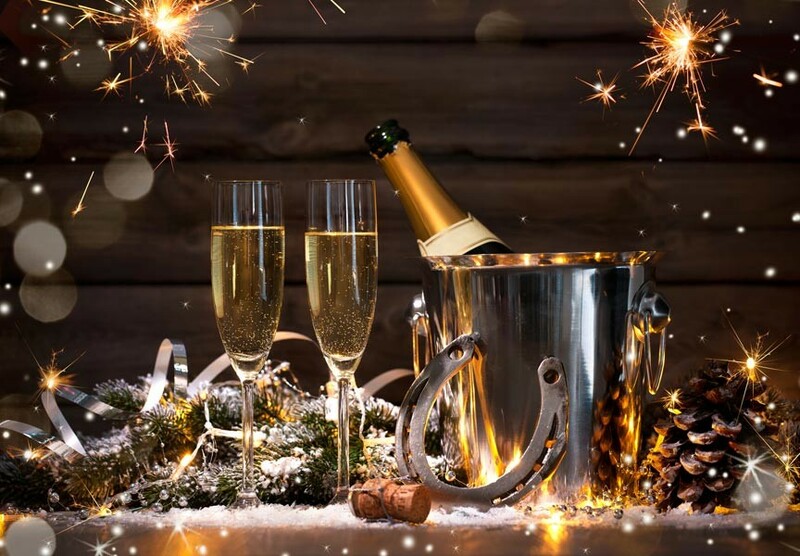 Celebrate In Style With English Inn's New Year's Eve Dinner Special! Start off your evening celebrations with an appetizer and glass of fine wine from our nationally recognized wine cellar. prefer a cocktail? Our fully stocked bar and talented bartenders will fix you up. And let’s not forget our selection of national and craft-brewed beers in bottle and on tap! English Inn’s two-story, Tudor Revival mansion on the lush, 15-acre Medovue Estate overlooks the Grand River. Inside you’ll find uncommonly rich detailing in Honduran mahogany, marble, and slate. Massive fireplaces provide an ambiance of warmth and good cheer. And our menus? Well, just take a look! The English Inn Restaurant & Pub’s reputation of service and quality is backed by awards and recognition. We’ve received the Wine Spectator Award of Excellence, the Open Table Diner’s Choice, and have been recognized as a Distinguished Restaurant of North America (DiRoNA). Our New Year’s Eve, Prix-Fixe, four-course dinner includes your choice of appetizer, our house salad, a selection of entree, and a dessert. At midnight, you’ll toast both the new and the old with a delicate glass of sparkling champagne. And all for only $69 per person! If you’re planning to spend New Year’s eve with us, we recommend making a reservation. This is true of any night, as we’re a popular destination, but especially New Year’s Eve!